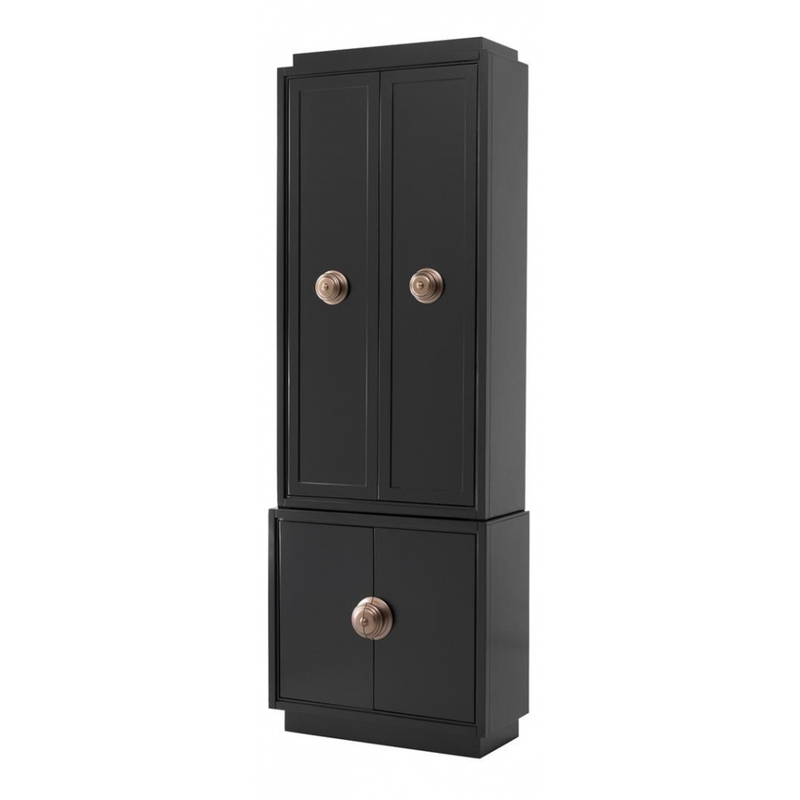 Uniquely designed with a deep ebony finish and oversized door furnishings, the D’Alsace Cabinet by Eichholtz offers both practicality and style which will enhance a wide range of interiors. A perfect mini bar or drinks cabinet for a superior hotel suite, or dining room dresser for a Bohemian styled Hunting Lodge scheme with faded tapestries and artisanal accessories. Add an Asian twist with delicate blossom prints and silk soft furnishings or introduce Scandi inspired layering with rich leather seating and deep pile faux fur rugs. The list is endless! Dutch interior design house, Eichholtz pride themselves on their eclectic collection of beautiful furniture, lighting and accessories carefully selected from around the globe. Founder, Theo Eichholtz travelled the world from a young age developing a discerning eye for craftsmanship and style, and sources only the finest of the finest items to add to their luxury brand catalogue. Here at Uber, we have an extensive directory of Eichholtz luxury homewares and other similar interior brands to choose from. Why not contact our expert interior design team for further details and inspiration to help you find the perfect curated collection for your next home, yacht, bar or hotel design project?